Calling all side hustlers and aspiring entrepreneurs! Starting a business is hard and especially while working a 9-5. There is no exact blueprint to becoming an entrepreneur and as a result of, mistakes are bound to occur. There are just SO MANY investments to make but who is to say that you will have a return? Avoid costly mistakes. Avoid spending hours hustling backwards. Avoid wasting money on things that don't matter immediately. 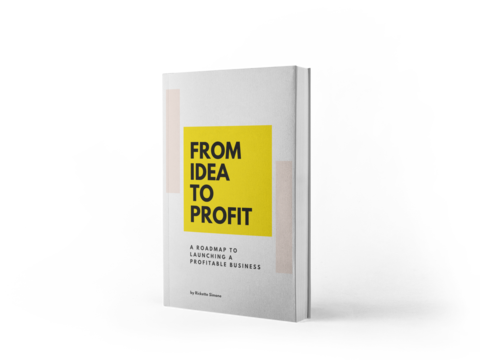 This concise, no-fluff, handbook provides the fundamentals, post idea, needed to launch a successful business. No million page business plan. No logo or branding necessary. Have the tools and strategies to lay a solid foundation that will help your new business thrive. Download today! Sign up and grab your free ebook!